What’s more important to top companies today than your website and online presence? The answer probably is — nothing! It’s a window into the heart and soul of your business: who you are and what your business does. For most companies, a rock-solid online presence is a major step to expanding a business, attracting new customers, and keeping existing ones. For that particular task you’ll need a serious and solid tool. And the answer is Adobe Experience Manager (AEM), which is an enterprise web content management system (CMS). 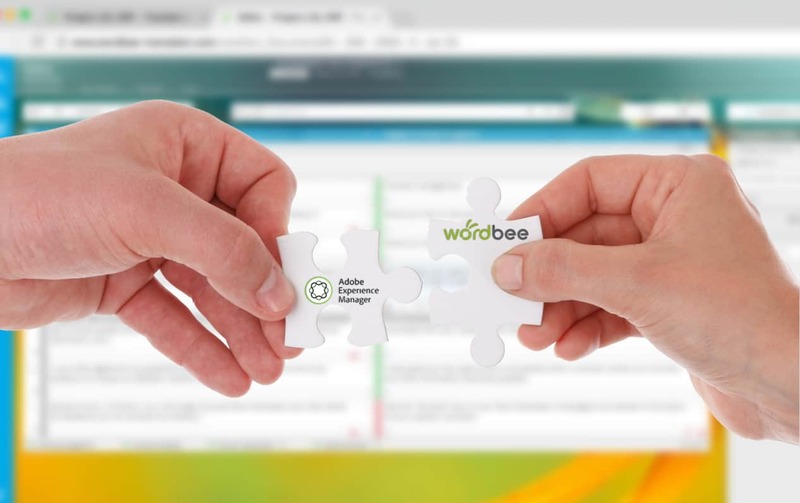 It’s no surprise that Wordbee has added Adobe AEM to their partner list. 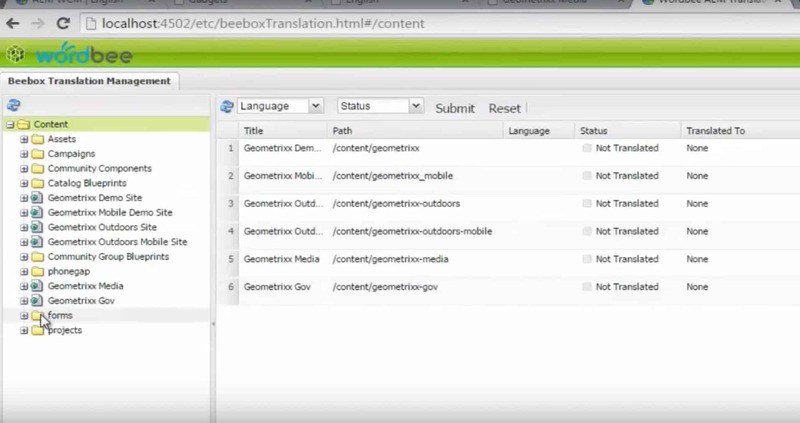 Adobe AEM CMS can now be integrated with Wordbee Translator via its Beebox connector. The AEM Beebox connector lets you automatically apply the right project workflow to the right content source and localize perfectly with minimal management time. In plain language, the connector lets you filter and select content for multiple translation tasks and have Adobe AEM sites updated with a click. What makes Beebox different? Work with anyone! With Beebox, you can work with any service provider or translation system without getting locked into their service, because you have an integration with them. Beebox sits comfortably in the middle between your organization and your providers or software. Keep your options open! - Translations can be previewed and approved before the content gets published. - Translations modifications can be done directly in the AEM CMS, with the ability to send those changes to your team for linguistic approval. - Wordbee Translator automatically reuses past translations and does not send previously translated content to your translation team. The tool automatically identifies sentences or paragraphs that have been translated in the past. - The system automatically identifies repeating sentences and paragraphs from the new translation requests and sends these only once for translation. This may lead to an overall translation volume reduction of 20% or more. - If your website has been translated in the past, you can have your existing translations aligned and submitted to your translation team for approval, adding that content to your translation memories. The Beebox Connector is a regular Adobe AEM package (bundle). The package adds the user interface to manage translation jobs. The AEM Connector communicates to the Beebox middleware. The Beebox server is installed at the AEM/CQ owner’s premises, an AEM Localization integrator or a language service provider. A single Beebox server can connect any number of content management systems with any number of TMS’s or translation teams. Wordbee can provide a list of LSPs who already operate a Beebox server. Both Beebox Connector for Adobe AEM and Beebox are off-the-shelf products. Installation and configuration support can be provided by Wordbee upon request. The Beebox AEM connector is compatible with the latest version and works. It also automatically updates and creates the content target Tree and can support high-volume sites. Last but not least, all of this doesn’t interfere with the Adobe AEM localization workflow. The Beebox connector is available on the Adobe AEM marketplace right here. Click here if you want to know how to setup Beebox with Adobe AEM CMS.